Deputy General Counsel Merri Jo Gillette is the principal in Edward Jones’ Legal division responsible for Regulatory, Corporate Filings and Risk. She joined Edward Jones in October 2017. Prior to joining Edward Jones, Gillette was a partner at Morgan Lewis & Bockius LLP, where she led the firm’s securities enforcement and litigation practice. 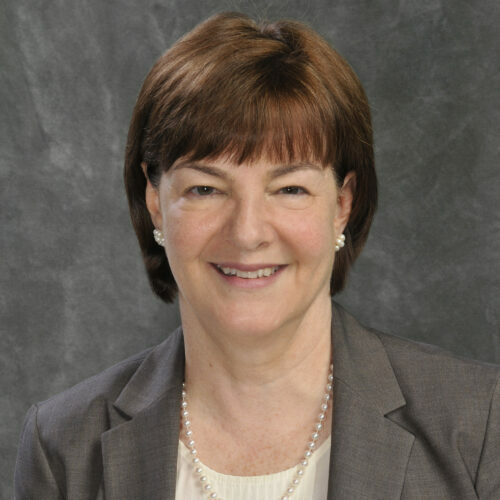 Prior to that, she had a 27-year career with the U.S. Securities and Exchange Commission, including serving as head of the SEC’s Chicago regional office from 2004 to 2013. She also held a number of enforcement roles in the SEC’s Philadelphia regional office from 1986 to 2004. While at the SEC, Gillette also served as a member of the executive committee for the SEC National Exam Program and co-chair of its compliance committee. She served as a founding member of the diversity committee within the SEC’s division of enforcement and as chair of the agency-wide diversity committee. Gillette earned a juris doctor from the Dickinson School of Law in Carlisle, Pa., and a bachelor of philosophy degree from Northwestern University in Evanston, Ill. She is a member of the bar in Pennsylvania, Maryland, Illinois and New York. Gillette is a member of the Board of Overseers for Pennsylvania State University’s Dickinson Law School. She also serves on the board of directors and Governance and Trusteeship Committee of the Better Government Association.